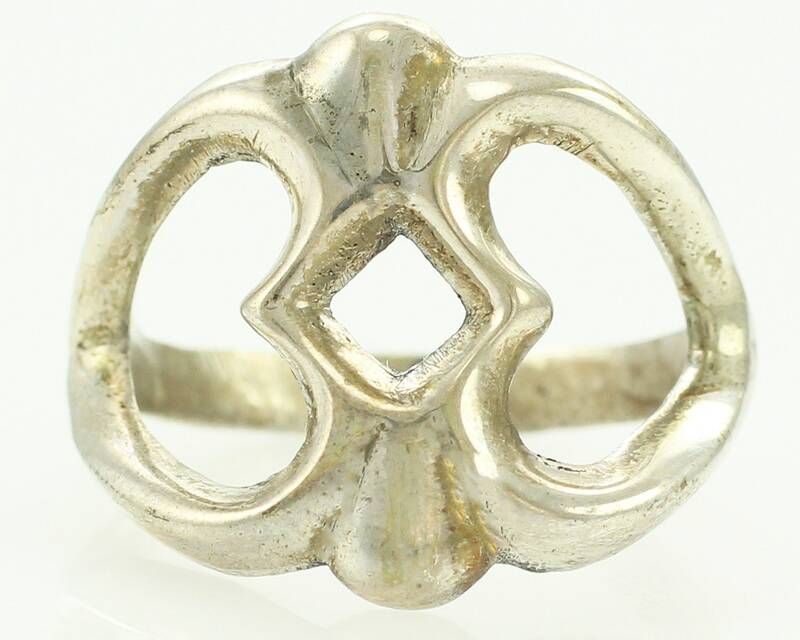 Vintage Sterling Silver Navajo Sand Cast Ring. 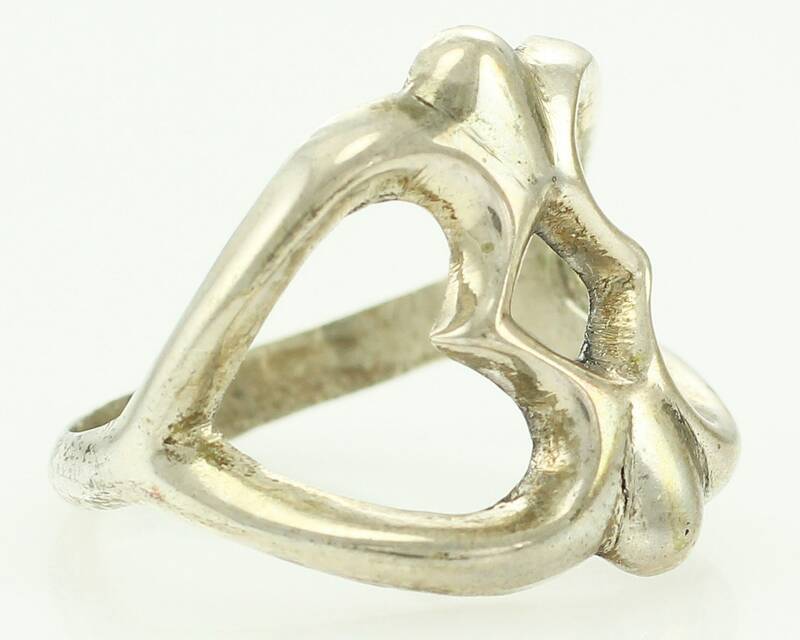 This New Old Stock ring was made in the 1970s. It looks like two open hearts joined at the center. 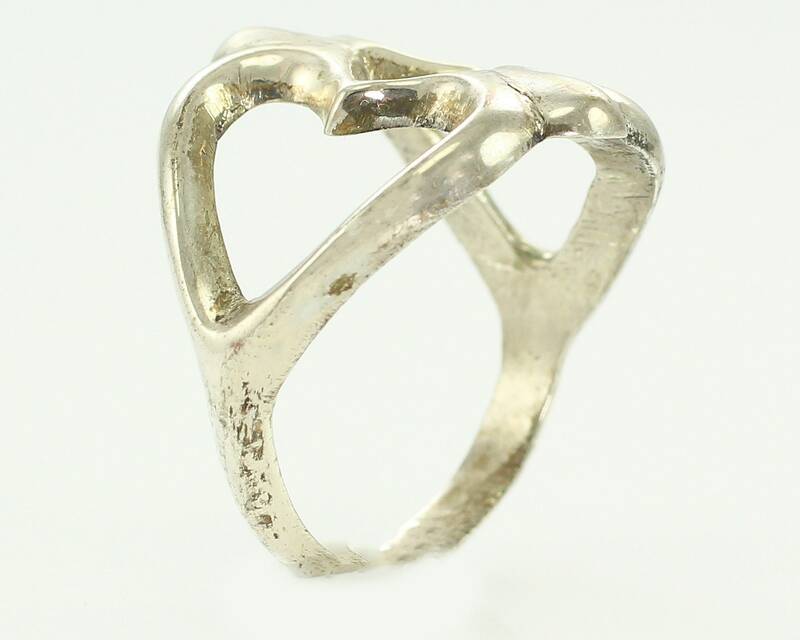 Perfect for wear by a man or woman and great for an everyday ring. 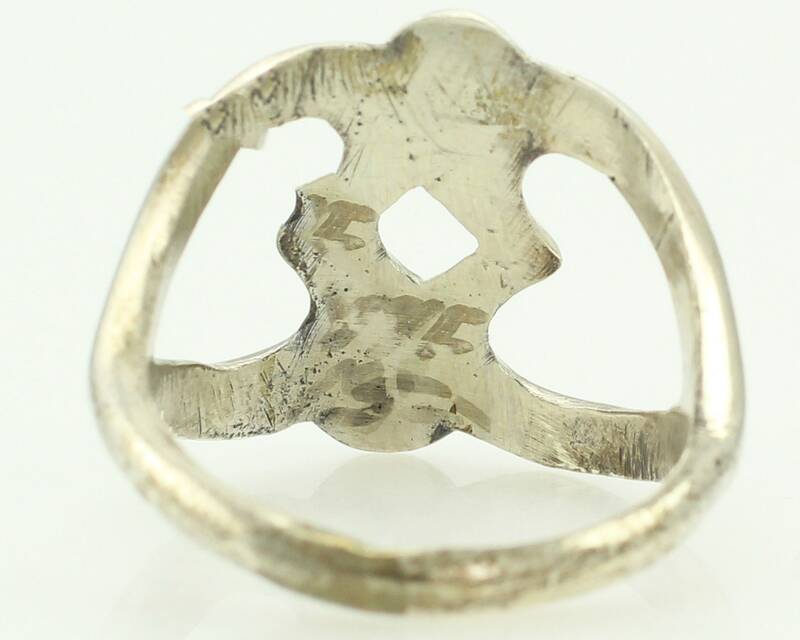 The ring measures 19 mm wide at the front and tapers to 2.9 mm at the reverse. In Excellent Vintage Condition. The ring was never worn. We purchased the collection of new old stock inventory from a closed trading post style store that ceased operation in the 1980s. This piece comes from that collection and was never worn. CONDITION: In excellent, unworn vintage condition. MEASUREMENTS: 19 mm at the front, tapering to 2.9 mm at the reverse.